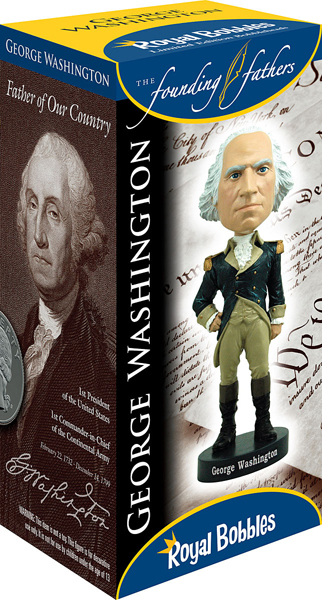 George Washington was the commander of the Continental Army in the American Revolutionary War, and was the first President of the United States of America. For his central role in the formation of the United States, he is often referred to as the father of our country. He presided over the Philadelphia Convention that drafted the United States Constitution . He supported plans to build a strong central government by funding the national debt, implementing an effective tax system, and creating a national bank. He was awarded the very first Congressional Gold Medal, and has been consistently ranked by scholars as one of the greatest U.S. Presidents. This model offers exquisite detail and the highest possible quality. It is packaged in a colorful collectors box with molded styrofoam protection.